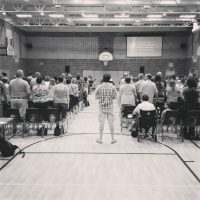 This past Sunday was our first Sunday of portable church at Victoria Hills Community Centre. 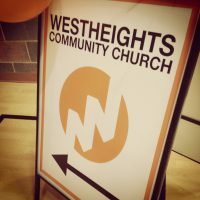 The best comment I heard came following the morning service, “It still feels like Westheights.” The comment was strangely comforting and also good theology. It did feel like Westheights because the church is people, it is not a building and not a location. Buildings are really important for practical reasons but the people of God can get together in any building and in any location and still be the people of God. We all know that to be true but it was comforting to experience it on Sunday morning. 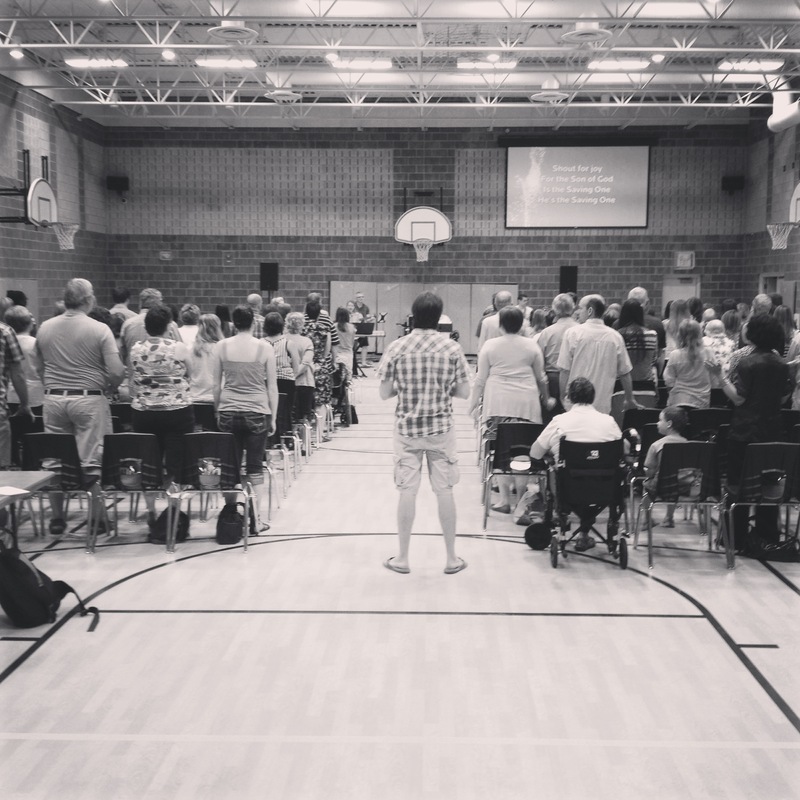 Our first Sunday went very smoothly considering this is a new experience for our church. Our two practice setups on Saturday really helped our volunteers feel confident and well prepared for Sunday’s service. Setup and tear down took less than half the budgeted time (that is a statement about the committed and competent volunteers at Westheights) so stress was minimal and there was lots of enthusiasm all around. Of course, there is room for improvement and we have already made some tweaks for next week’s service (i.e., room temperature will be lowered earlier). Victoria Hills is a fantastic community centre and the staff are truly amazing so we are grateful for fact that we can rent the facility. It will be a great home away from home during the next four to five months. Renovation has started at the church building and I will throw up a couple of pictures in another post.